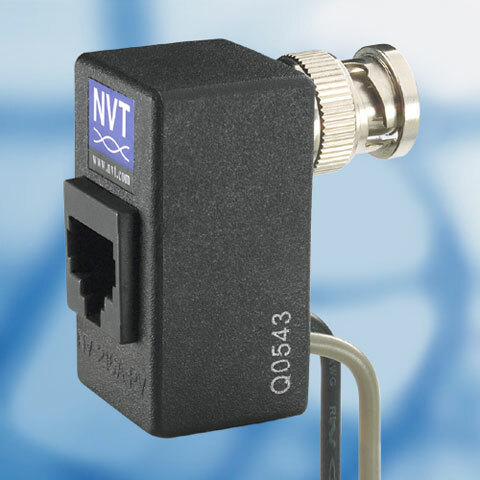 The NVT Model NV-216A-PV Video Transceiver with Power is a passive (non-amplified) device that allows the transmission of real-time monochrome or color video over Unshielded Twisted-Pair (UTP) telephone wire. Baseband (composite) signals of any type are supported. The NVT NV-216A-PV is also known as NVT-NV216APV	or NV216APV	.